Cardiff’s Craig Kennedy (12-0, 6KO) knows he can’t afford to take his eye off the ball when he faces Africa’s unknown Benki Mwakalebela (13-1, 10KO) on Friday. The popular cruiserweight, who is managed by former world champion Steve Robinson, is one step closer to his dream of winning the Lord Lonsdale belt after being nominated to face former Commonwealth champion Tony Conquest (15-2, 5KO) in a final eliminator for the British title. Speaking of the situation, Kennedy said: “Of course, it’s important not to take my eye off the ball. To be honest, I’ve avoided talking about the Tony Conquest scenario to anyone, even with my management and promoters. I’ve told Chris Sanigar that I’m the type of guy who likes to take it one fight at a time, never overlook anyone. 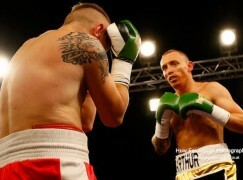 I need to take care of business on Friday first and foremost. Kennedy must go-ahead with his already organised date against Mwakalebela at the Newport Centre and admits that despite a lot of information searches, he’s not sure what to expect on Sanigar Events’ ‘Past Present Future’ show. He said: “We still don’t know a lot about him but what we do know is that he’s a switch hitter, a game fighter and obviously, we know his record. The message that he’s sent to Cardiff is that I’m going to get knocked out, so I look forward to his visit. It won’t be the first time that the 30-year-old has entered unknown territory, having travelled to Eastern Europe alone to spend two weeks of his training camp in Russia, a country not regarded as the most welcoming. However, a enthused Kennedy tells a different tale and couldn’t have enjoyed his time there more, which included airtime on the local television station. He said: “It was absolutely amazing, I got that Rocky feeling. It was obviously very daunting at first, going on my own. I’m a Brit and there’s plenty of propaganda that they’re racist but I can safely say every person I come across was happy to see me. They loved me and I was welcomed. The country, people and facilities there are first class. I want to go back. “The journalist’s English was a bit limited, they fired a few questions at me and I answered through the interpreters… then I saw myself on the Russian news! We went to a boarding school, trained the kids there and they were overwhelmed. The guy I was with is a superstar to them, I was in good company out there. 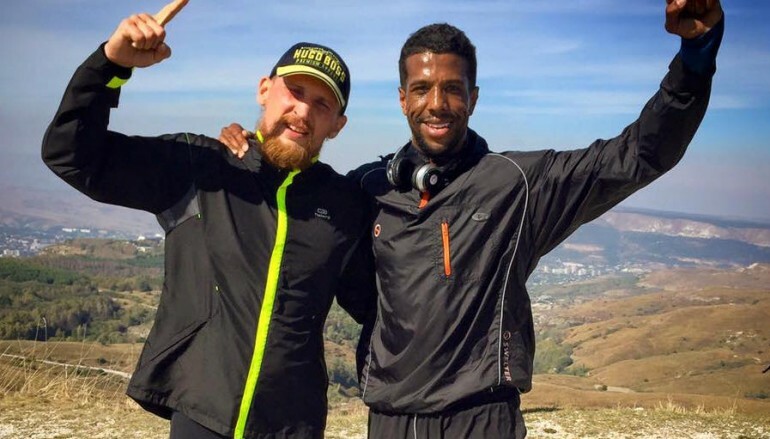 Aside from leaving his comfort zone, the purpose of Kennedy’s trip was to train alongside and spar with Dmitry Kudryashov – a phenomenally ruthless knockout machine. The world rated ‘Russian Hammer’ has won all 18 of his outings by stoppage and he’s considered one of the cruiserweight’s most dangerous operators. Kennedy said: “It was amazing to train alongside him. I’ve learned loads, not only in the ring but outside of it, too. He’s taught me so much with little pointers from him and his coach. 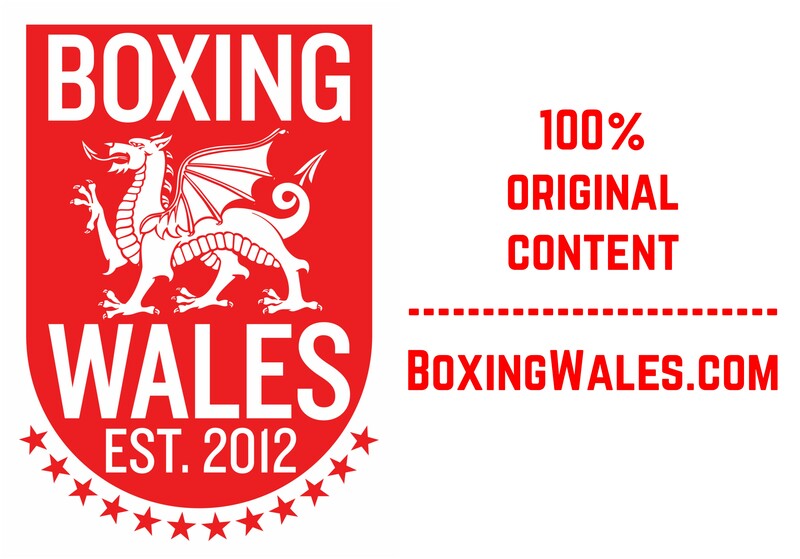 I’ve brought that knowledge back to Wales with me and I look forward to showcasing it on October 30th. “Being around someone at that level, seeing how they operate, just shows me where I need to be. I’m not a million miles away. It’s put me in a place that I haven’t been before mentally. I’m always in physically strong shape but mentally, I’m the strongest position I’ve ever been in. The British and Commonwealth straps are currently held by Jamaica’s relocated Ovill McKenzie (25-12-1, 13KO), who valiantly battled to a draw in a very late notice challenge to IBF champion Victor Emilio Ramirez in Argentina. If Frank Warren, McKenzie’s promoter, is successful in securing his boxer a rematch then it’s likely to hold up the domestic titles, which haven’t been contested in seven months, up for the foreseeable future.